The first selectman may not want to answer any questions about the "resignation" last week by Fiscal Officer Paul Hiller, but local Republicans say they have no plans to stop asking. "We will continue to ask the questions," Republican Town Committee Chairman James Millington said at a Monday night meeting of the RTC. Hiller was put on administrative leave for several weeks last month, sources said, and last week, after reaching a separation agreement with the town, he "offered to resign," in the words of a release issued by First Selectman Michael Tetreau. The agreement includes severance pay, payment for 60 vacation days, a pension based on a $155,000 salary, and a work commitment of two days a week as financial services manager for the town until June 30, 2013. Tetreau has refused to discuss the matter, not just to the press but also to other elected officials. He is currently out of the country on vacation. 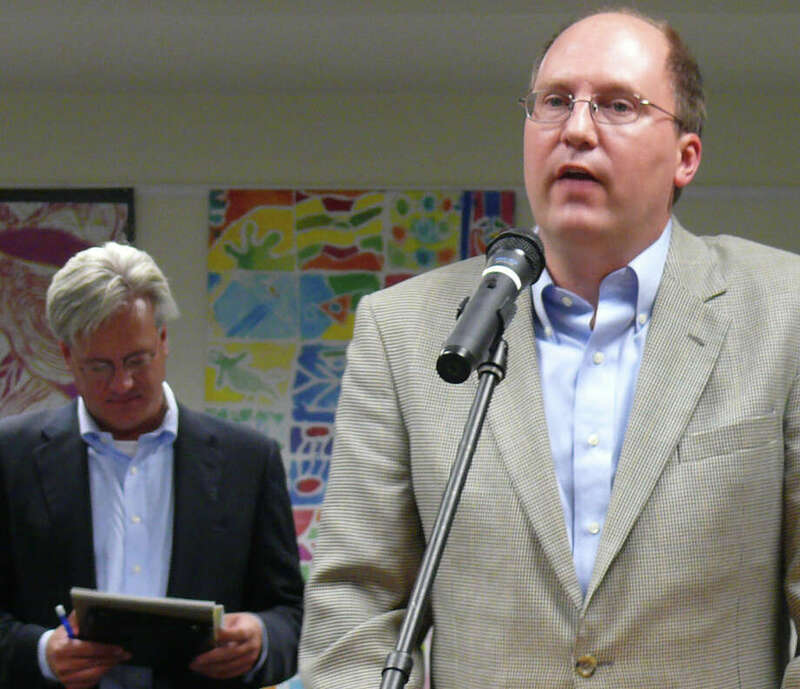 The first selectman has not indicated how or when a new fiscal officer will be hired, although his chief of staff, Robert Mayer, will serve as acting fiscal officer after Hiller officially steps down in September. "This was not handled right under any circumstances," said finance board member James Walsh, who until recently was a member of the Board of Selectmen. Walsh said in his time on the Representative Town Meeting and the Board of Selectmen, he has heard nothing but "glowing, positive reports" about Hiller. RTC member William Malchisky raised the possibility that Hiller stumbled upon something irregular in the town's finances and is being paid off to keep quiet about it, but Board of Finance Vice Chairman Robert Bellitto said that is purely conjecture. The settlement includes a confidentiality clause that prevents Hiller from discussing its terms to anyone other than his wife, lawyer and tax advisor. "He does not deserve to have his reputation sullied after these years," said RTC member Faith Dillon. "I know there is no cause, because if there was, he wouldn't be offered this." Bellitto said Hiller's agreement and its financial implications will be on the Board of Finance agenda for its September meeting.